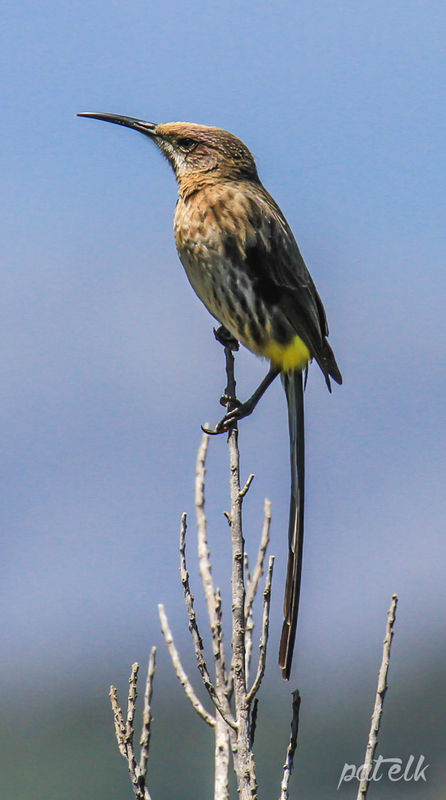 The Cape Sugarbird (Afrikaans name, Kaapse Suikervoel) is endemic to the Cape Fynbos area, feeding on nectar from the proteas and occasionally hawking for insects. The tail of the male varies in length from 1.5 to 3 times the length of its body. 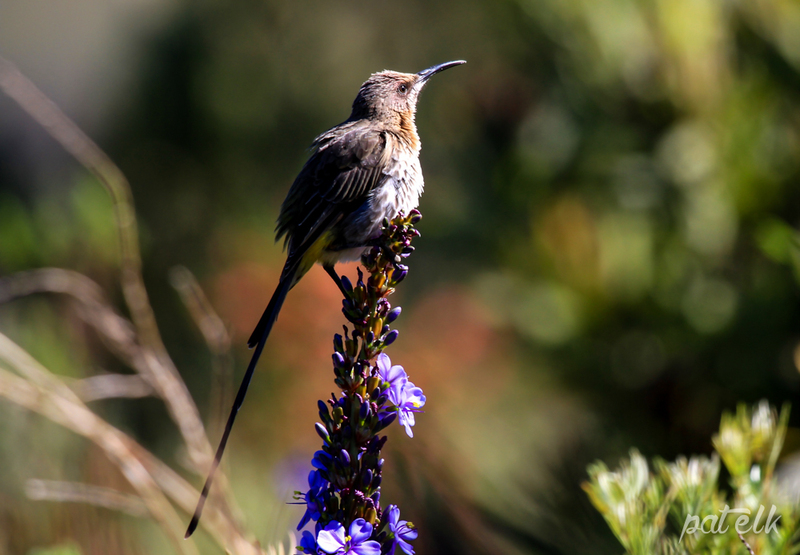 We have seen them at Kirstenbosch Botanic Gardens and at the Helderberg Nature Reserve. Their favourite Protea is the Protea Repens.